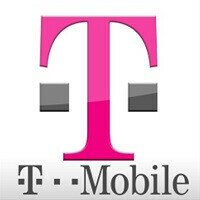 Last month, T-Mobile starting offering a special deal for $80 a month. For that amount of money, you could get two lines, each with 6GB of 4G LTE data. This way, there would be no sharing. But we have some bad news. Today is the last day that this deal is available. Once the business day comes to an end, so does this deal. But there are no tears in wireless. As soon as that deal ends, T-Mobile promises to introduce "another unbeatable rate plan offer." This should be announced later today. Additionally, on May 25th the carrier will eliminate its Match Your Data Mobile Internet rate plan. Those on the plan with a voice line will be moved to a $20 a month, 5GB mobile internet plan. This plan qualifies for a $10 a month discount when a voice line is added. Those on the Match Your Data Mobile Internet rate plan without a voice line will be moved to a $10 a month 1GB mobile internet plan. This information was originally meant for the eyes of T-Mobile reps only. But now that we know to expect some new rate plan from T-Mobile, check in later today during U.S. business hours to see what the nation's third largest carrier has whipped up now! I hate T-Mobile s**tty network. ATT and Verizon are where it's at. They have much better coverage and speed. Hi, I like throwing money away too, just like you! Have you checked their coverage map recently? They more than doubled their coverage last year and rolled out a ton more LTE coverage. In my small rural area of North Idaho, there's now T-Mobile LTE coverage. it is the same price plan when you have 4 lines. but old plan let you have 2 or 3 lines. the new plan requires 4 lines minimum.